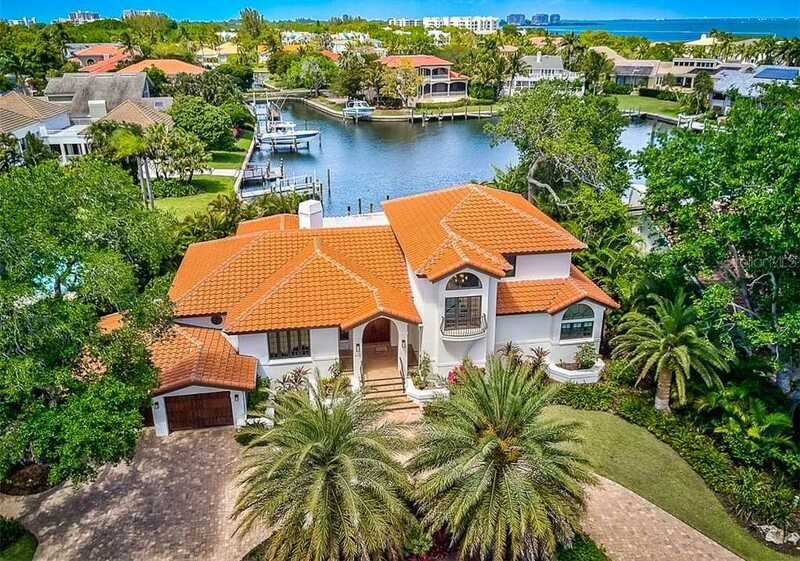 This perfectly positioned waterfront home offers the best of Longboat Key living in the exclusive Harbor section of Bay Isles. Recent renovations include: Chef’s kitchen featuring Wolf cooktop, miele oven, steamer, built in coffee station, wine cooler, Thermador counter depth refrigerator and freezer, solid wood doors, thermal impact windows, whole house water filtration and instant hot water, interior and exterior paint and a Lynx outdoor kitchen overlooking the newly enhanced pool deck and landscaping. The sliding glass doors throughout the main level open to the expansive outdoor terrace overlooking the 20×40 swimming pool and spa. The livable open floor plan features a first floor master suite that opens to the waterfront terrace with his and her custom closets and a luxurious master bathroom. The deep water dock features electric and water. The garage features a separate a/c unit. Whole house stand by generator. Private beach access through the Bay Isles Beach Club. See walk through video tour attached. Please, send me more information on this property: MLS# A4431877 – $2,895,000 – 511 Harbor Point Rd, Longboat Key, FL 34228. I would like to schedule a showing appointment for this property: MLS# A4431877 – $2,895,000 – 511 Harbor Point Rd, Longboat Key, FL 34228.